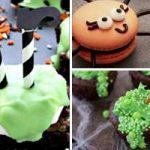 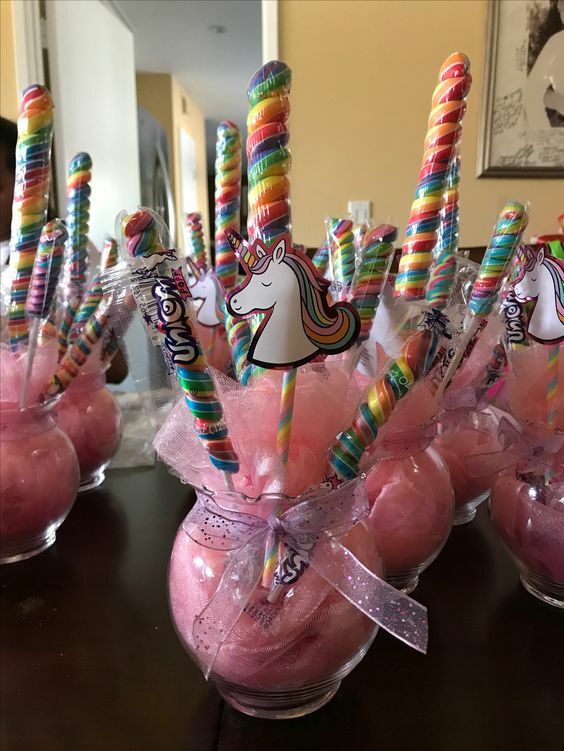 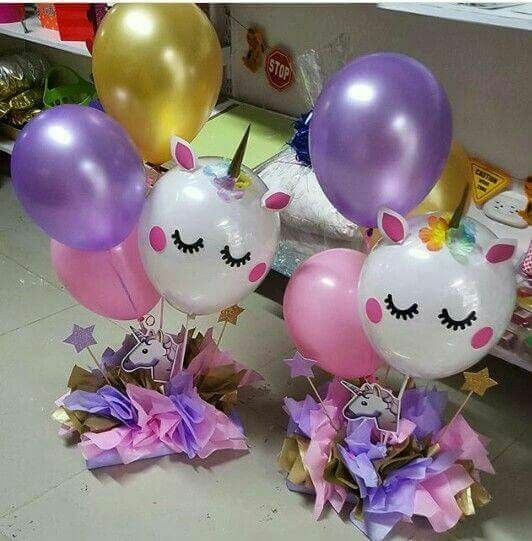 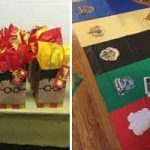 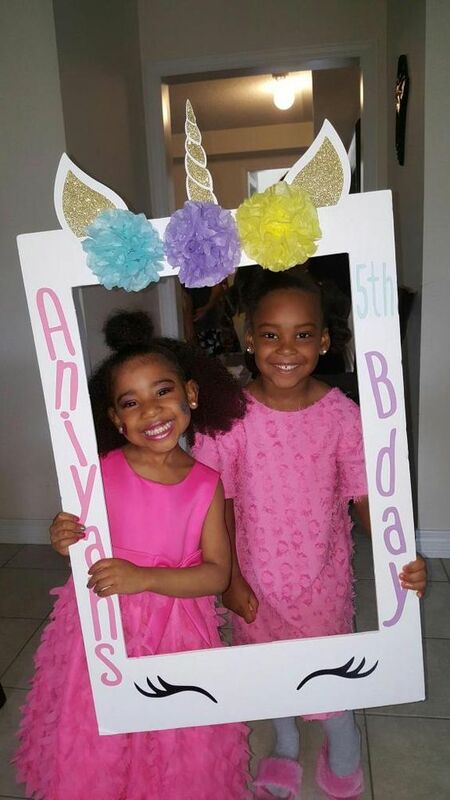 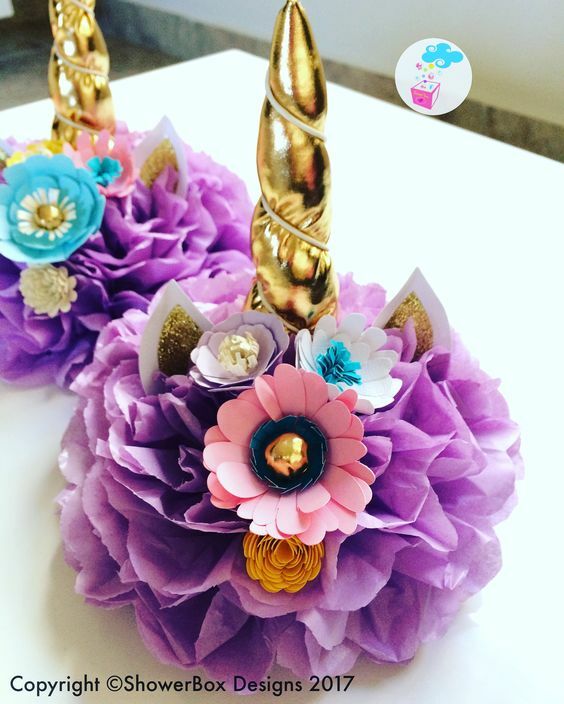 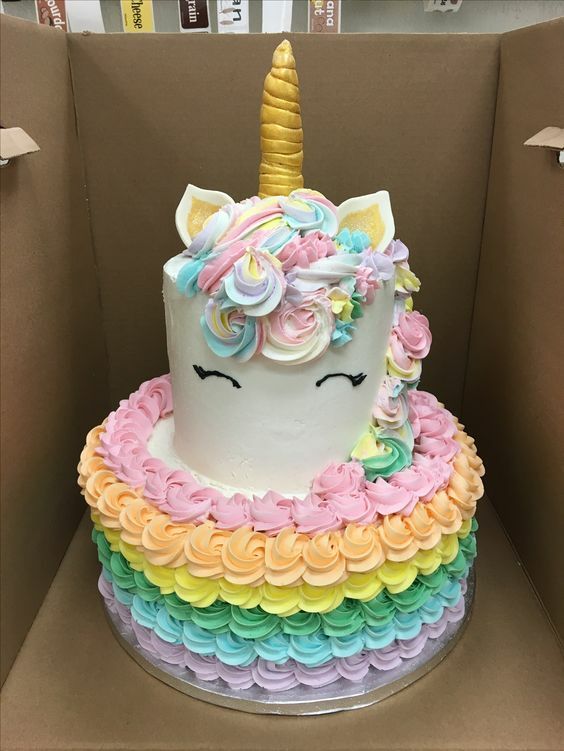 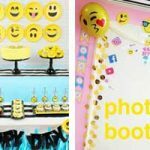 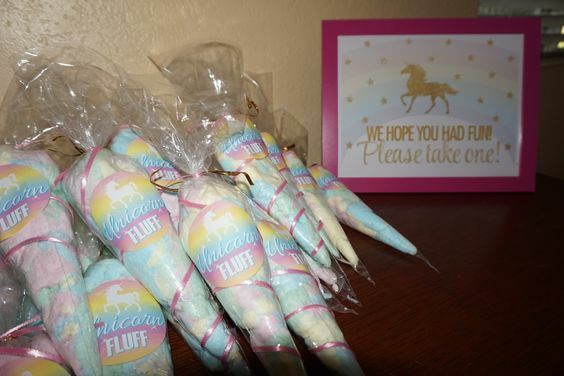 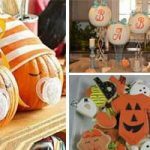 If you want to have a magical party then feast your eyes on these awesome Unicorn Birthday Party Ideas which will transport you and your guests to a fairy tale land. 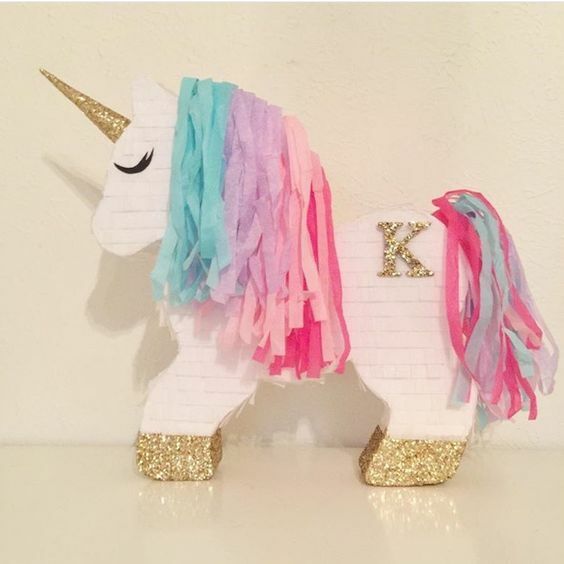 Make your own glittery unicorn piñata with cardboard and crepe paper! 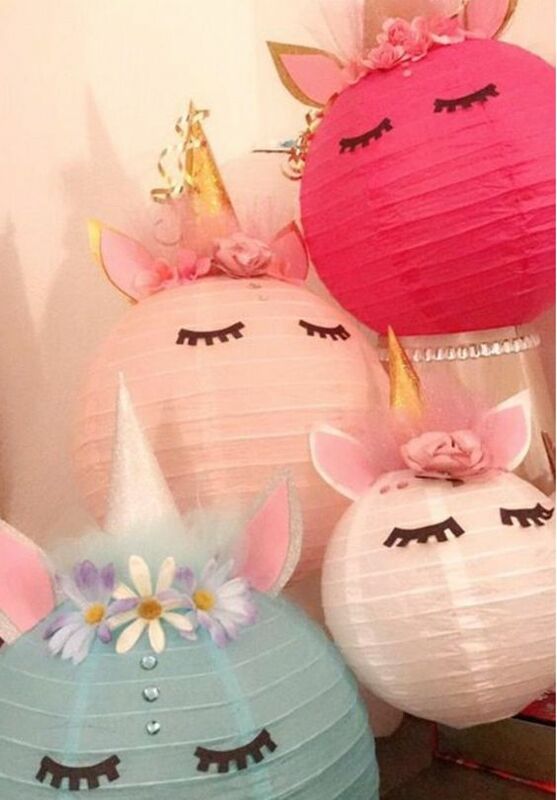 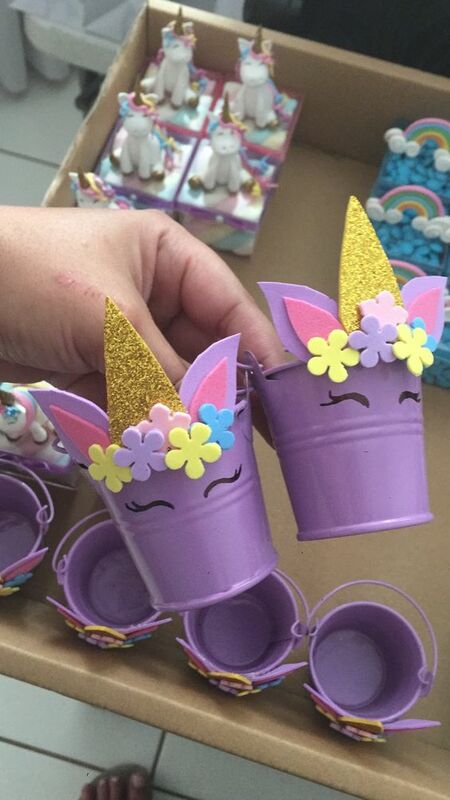 Making the piñata craft would be a really fun unicorn style party game! 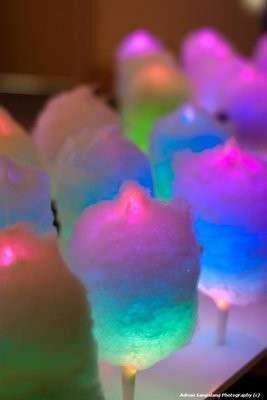 For a magical treat place cotton candy on a glow stick and watch as it becomes a glowing rainbow. 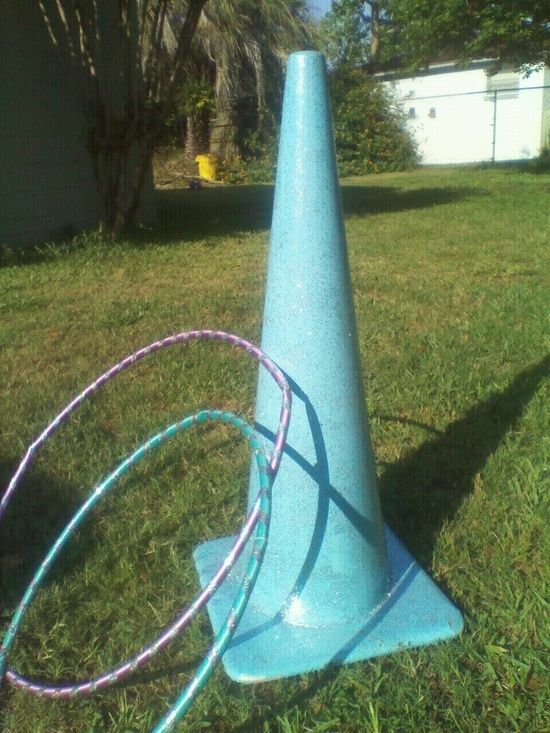 This fun game is created by painting a cone with sparkly colors and a bunch of hula hoops to toss. 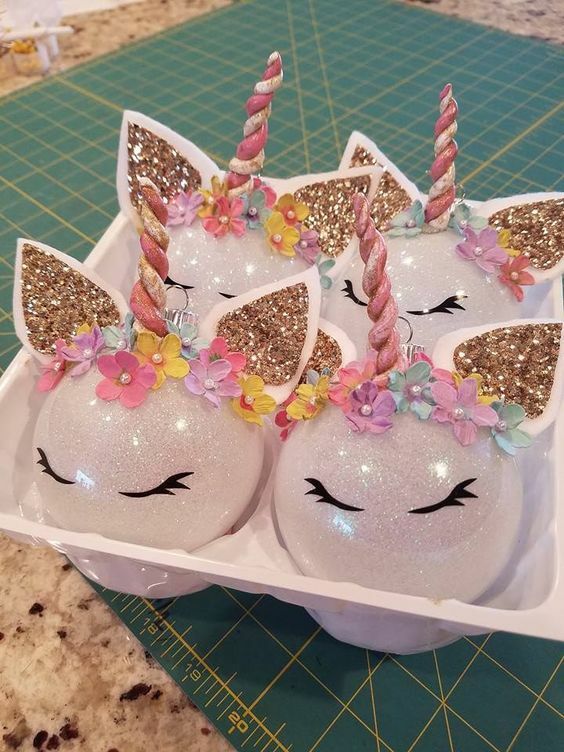 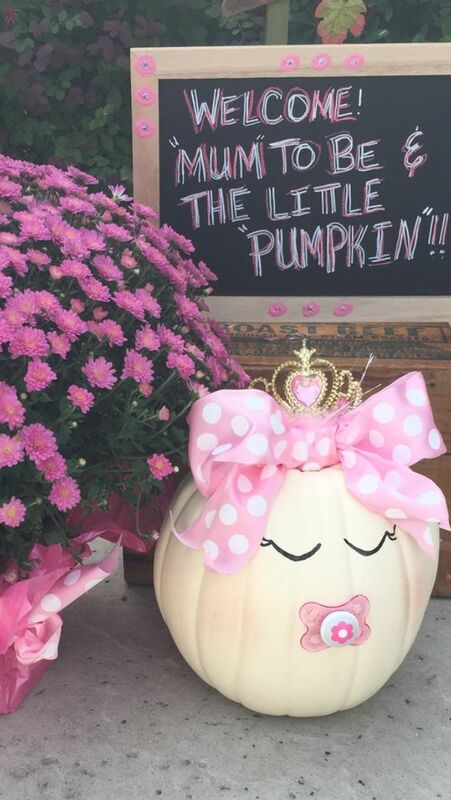 If the even is during fall, why not paint a pumpkin white and add a horn! 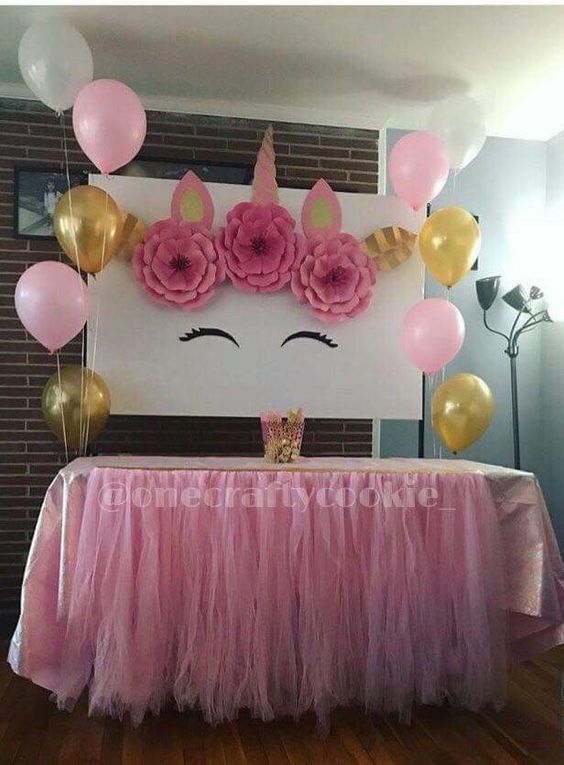 This is an impressive use of a pallet to create a unicorn backdrop. 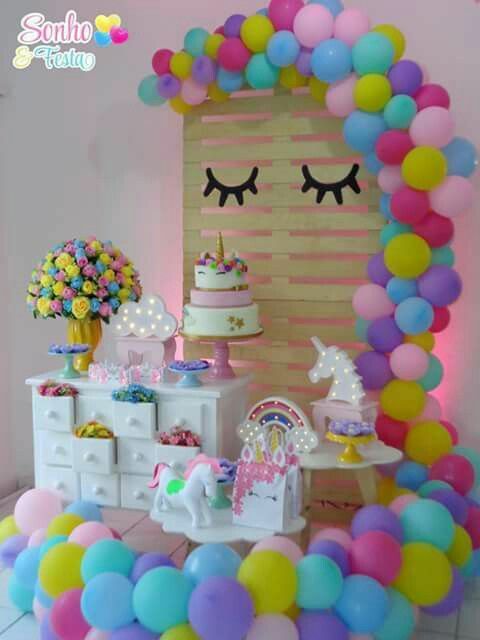 Simply blow up as many rainbow colored balloons as you can and paint eyelashes onto the board. 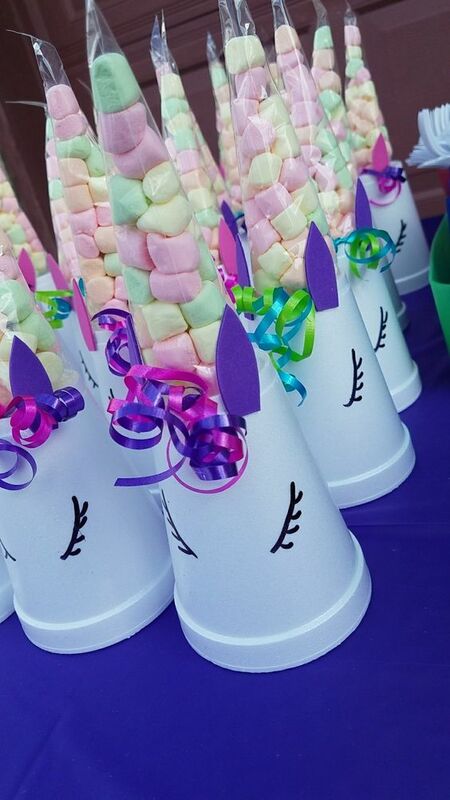 It’s easier than you would think to make a unicorn cake – for example a wafer cone can easily become the horn. 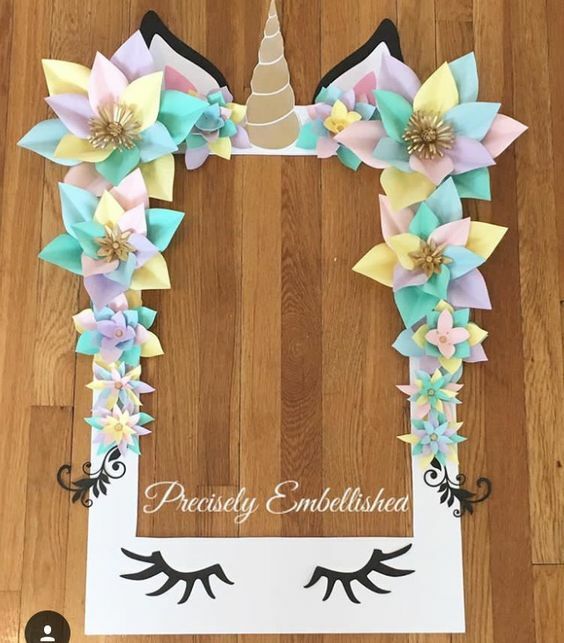 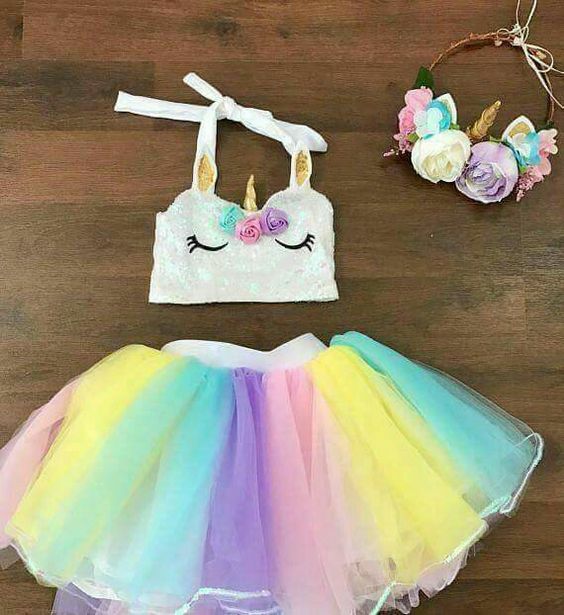 To recreate this, make tissue paper pom poms in different colors and add a horn as well as other suitable unicorn trimmings. 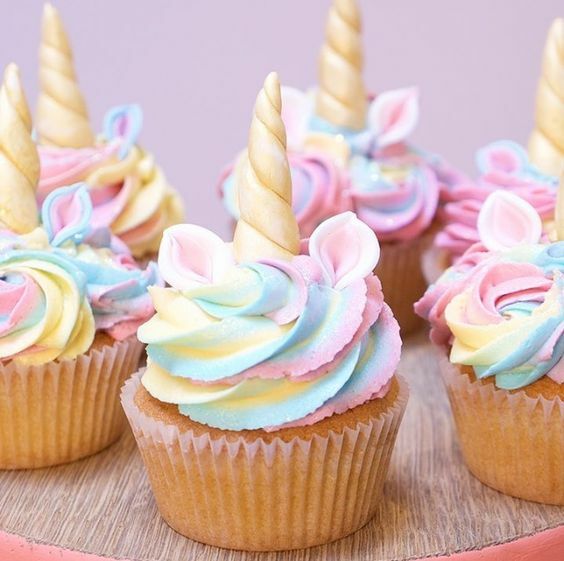 The dreamy pastel buttercream on these cupcakes with the little horn – makes these almost too nice looking to eat. 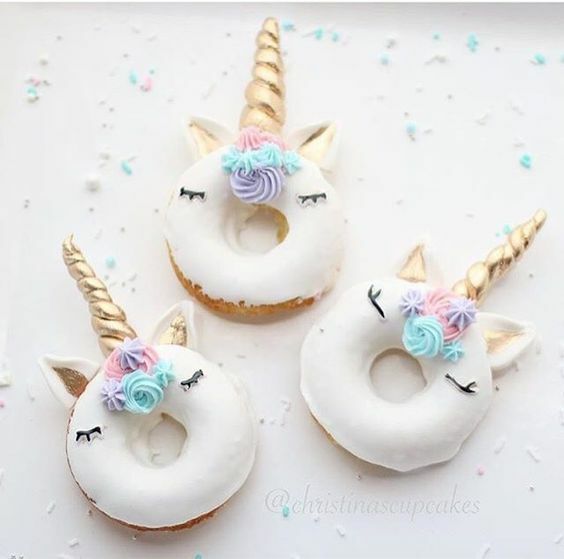 These fantasy donuts are easy to make but since the horn is attached with a toothpick – remember to remove before eating. 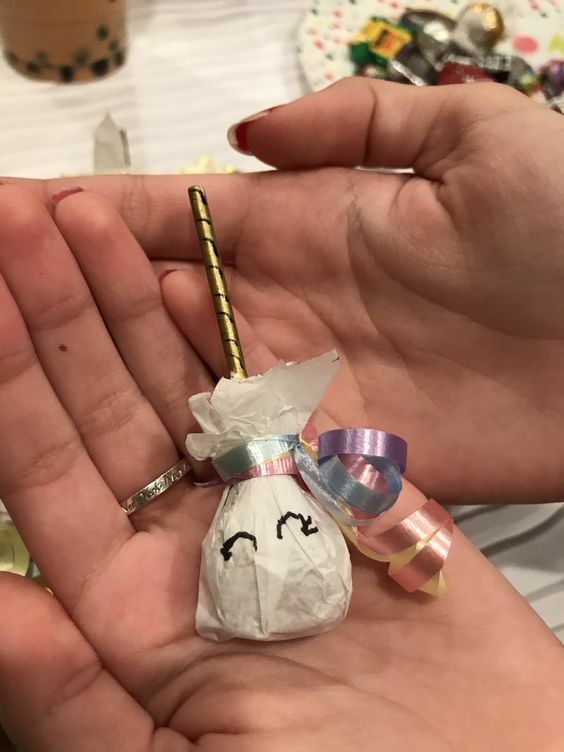 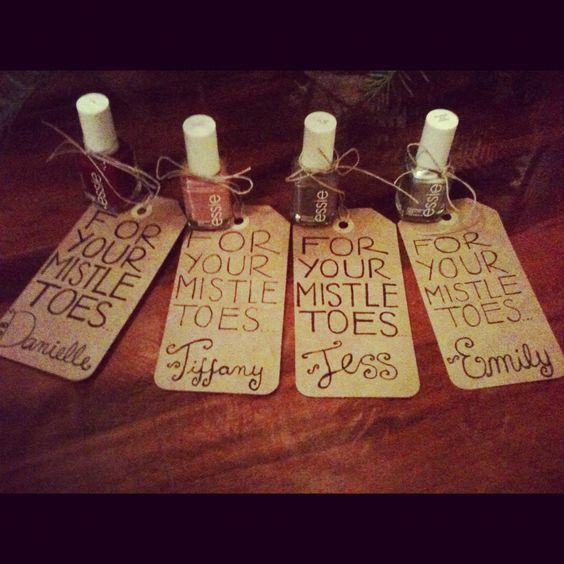 These super cute favor bags are so easy to make. 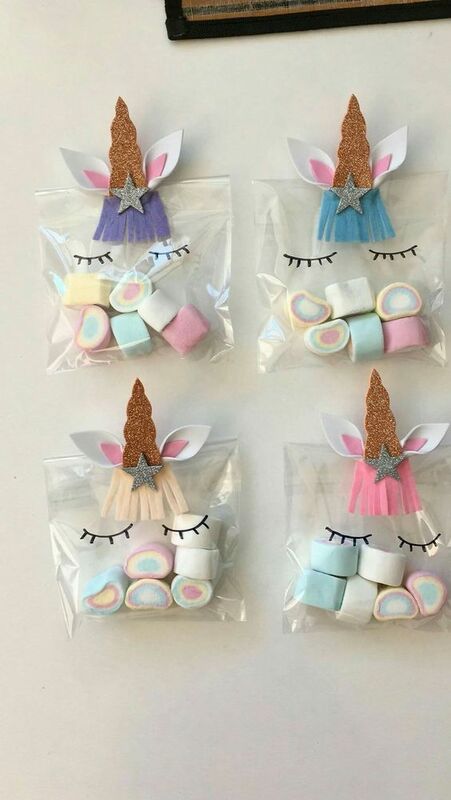 Simply fill a clear bag with rainbow marshmallows and add little foam horns and ears. 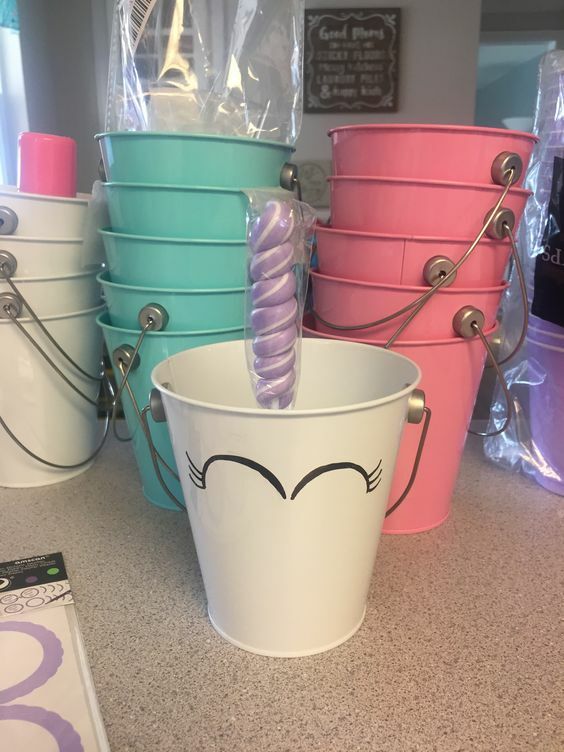 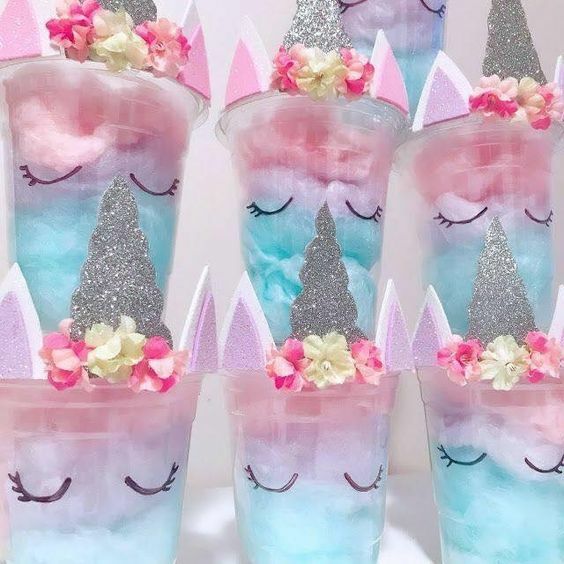 To make these, you can purchase Mini Pails and customize with foam horns and ears to make the unicorn. 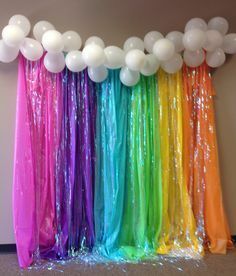 Attach rainbow colored streamers to white ballons to create a rainbow from clouds look. 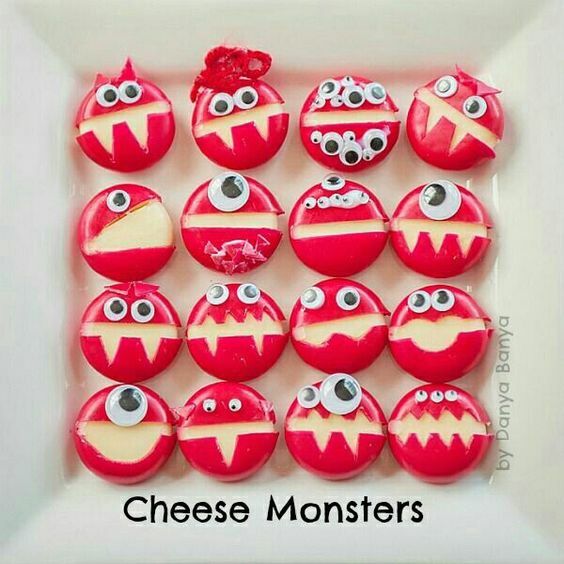 Very simple to make with some craft supplies and lollypops.